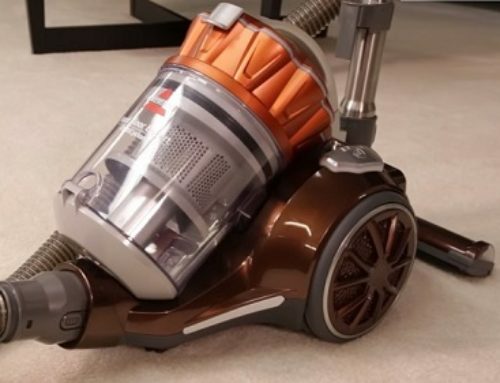 In this article, we’ll be taking a look at a canister vacuum. We’ll be looking at the Miele Classic C1 Limited Edition. 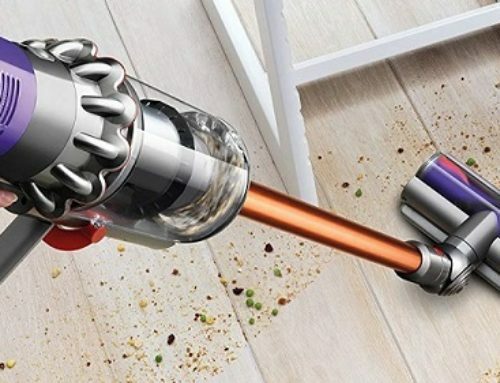 The Miele vacuum is 18.2 inches long and 8.7 inches tall at its tallest point. The vacuum is 11 inches wide at the widest point and is 16.1 pounds. The vacuum includes an 18 foot cord that pulls out from the base. The cord is also held within the retractable cord system so you can press this button along the top which will retract the cord back inside the unit. Lastly, the Miele C1 includes a 5 foot hose and then the extension wand goes from about 1.5 foot out to as long as about 3 feet. The Miele includes a variety of different accessories in cleaning heads, we have the standard floor brush, the multi surface tool, the upholstery tool, crevice brush, and lastly, the dusting brush. The dusting brush is great for delicate services as well as more delicate knick knacks around your house. The upholstery brush is great for fabrics like chairs and sofas around your house. The crevice tool works for getting into tighter spaces. Lastly, we have both of the primary cleaning hands. We have the standard multi surface tool which is great for all floor types. And then, we have the standard floor brush which is great more for hard surfaces and your more delicate hardwood floors. All vacuum cleaners we test go through our standard cleaning tests. For these tests, we complete 12 unique tests testing four different debris types on three different floor types. Our floor types include: an engineered hardwood floor, low pile carpet, and a high pile carpet. Our four debris types include: rice, kitty litter, cereal, and sugar. Cleaning tests on the Miele Classic C1 Limited Edition overall were exceptional. There’s really not a whole lot to say. This vacuum cleaner simply dominated our test. This vacuum performed nearly flawless on all floor types and all debris types. The different combinations of cleaning heads combined with truly exceptional level of suction made this one of the best vacuums we have tested to date. Unlike some other canister vacuums we’ve tested where the larger debris types have a tendency to be pushed around from the front of the cleaning heads, this vacuum had a right combination where it was able to get over on top of those, allow those into the suction path, and easily remove those from the surfaces that we were cleaning. Usability on the Miele is fairly straightforward once you understand what the buttons actually mean. 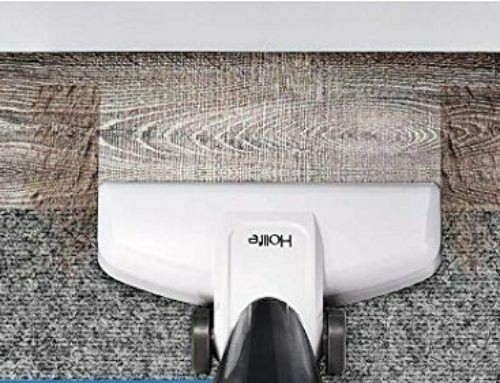 You do have the variable suction knob along the bottom of the vacuum which allows you to increase or decrease suction depending on the surface that you’re cleaning. In addition, you do have the power button and cord retraction system with larger buttons that can be activated via your foot at the very base of the unit. The graphical representations on the Miele can be a little bit difficult to decipher the first time you’re using them as the pictures aren’t perfectly intuitive to indicate what they actually indicate. Overall, we’re really impressed with mobility on the C1 vacuum. Despite the fact that the wheels are a little bit smaller, they’re incredibly well put together and roll very easily. I definitely like that the wheels have a similar type of a wheel to a luggage wheel. It works really well to make tight turns and as well as just generally sliding across the floors from both hardwoods and carpets as well. The Miele Classic C1 Limited Edition uses a triple filtration system. The three filters located around the internals of the vacuum help to remove particles in order to help further improve the overall cleaning and removing allergens from the air while also helping to extend the life of the vacuum by protecting the motor and other internal components of the vacuum. Annual maintenance costs on the Miele C1 come in at around $36. That includes all of your filters as well as replacement bags. All vacuum cleaner reviews go through our standard noise test. For this test, we use a sound meter to measure noise in terms of decibels on the vacuum at full volume. We have that sound meter about 3 feet away from the vacuum. The Miele C1 came in at around 71 decibels. There’s a lot to like on the C1 vacuum. Overall, cleaning performance was truly exceptional. The Miele C1 came in with some of the very best cleaning performance that we’ve seen across all vacuum types that we’ve tested to date. Additionally, the vacuum has great mobility. I definitely life the three wheeled system on the base. The wheels are sturdy, being able to rotate helps as well. It’s just really easy as you’re dragging that around your home. In addition, the vacuum has a pretty good cleaning radius and over all reach. The combination of the cord extension, wand, and hose give you approximately a 30-foot cleaning radius. Lastly, the Miele Classic C1 Limited Edition includes a 7-year warranty which is among the very longest warranties that we’ve seen across most vacuums we’ve tested to date. Next, let’s talk about the cons on the C1. Perhaps the biggest and most notable is simply the bag system. Having a bag system means you have one more part that needs to be replaced. It’s something that requires more maintenance and more cost than a dust filter. However, this is a little bit of a double edged sword since having the bag system in there does also mean that you generally have a little bit better performance when it comes to those very small particles making sure those get removed and thrown away in the trash. The only other noteworthy con on the C1 simply comes down to price. The Miele C1 is definitely a little bit on the higher price compared to other canister vacuums usually in the $250 to $300 range. That said, considering the performance and also considering the relative price compared to other Miele vacuums, we still think this is a very solid value overall.